The guest closet. A 4X8' space. Space where I store things. A space that no one sees. A hidden hoarder's secret. 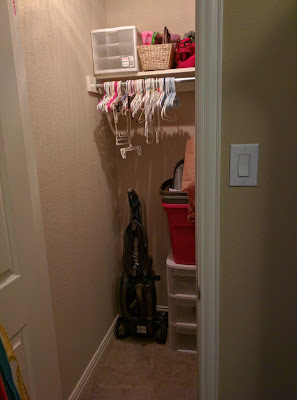 I've been dreading going through this closet. Over the past 4 years, I've stuffed it full of things I didn't want to make decisions about or sort through. 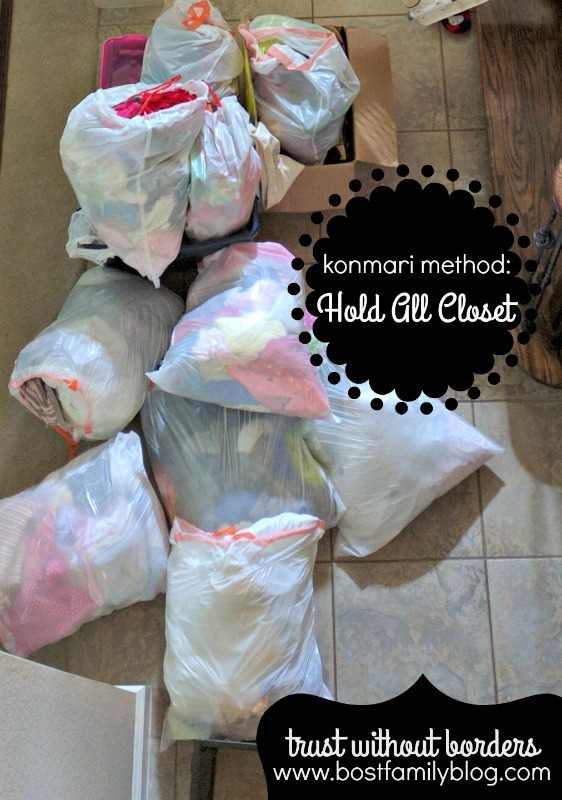 Yesterday I pulled everything out of the closet and from 8 in the morning until 3 in the afternoon I worked on konmaring the closet! 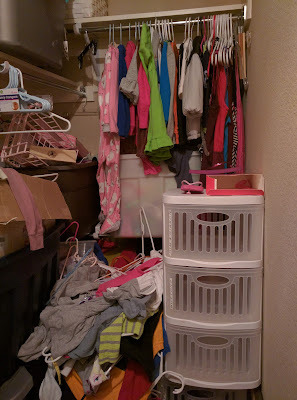 This is everything I pulled out of the closet. 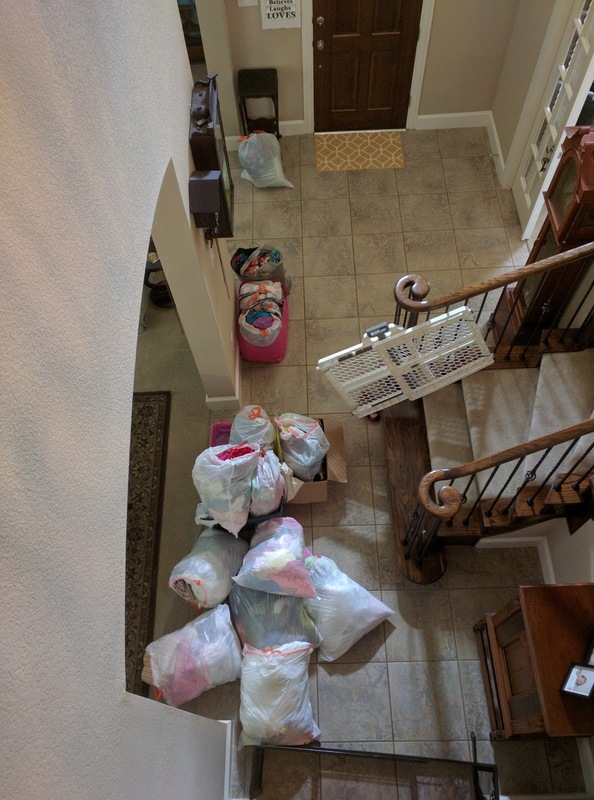 Plus 3 bags of trash... and two bins of puzzles that I still need to sort. 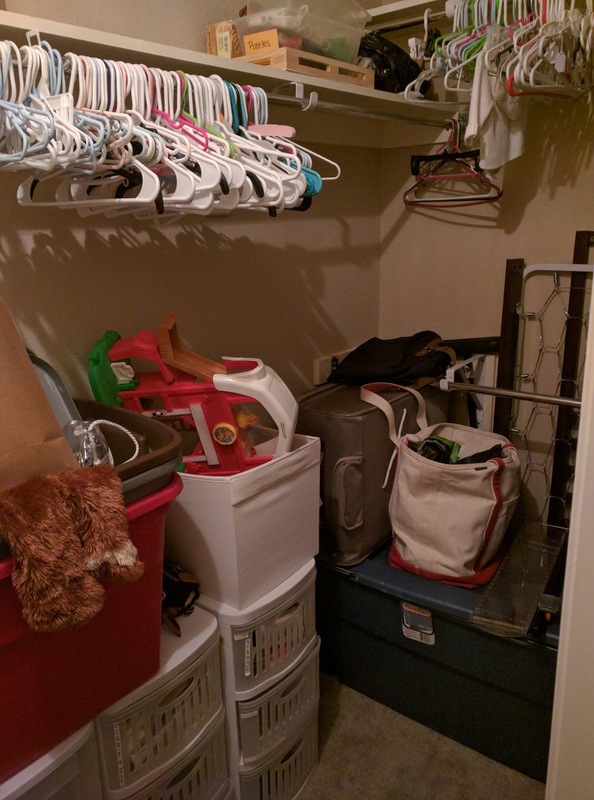 Baby clothes, baby blankets, crib sheets, outgrown- stained clothing, baby toys, loud toys, and decorating accessories filled this closet. It is so FREEING to get rid of all of this junk I don't need, use or even like! 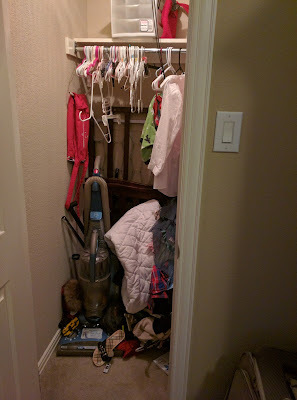 Again, the book The Life-Changing Magic of Tidying UP has really changed my life and the way we live in our house. I only want to be surrounded by things that bring me joy. I may not be able to control what is happening in my life but I can control what happens in my house.